BMY Group is launching a new digital platform aimed at connecting Australian investment opportunities, products, professionals with Chinese investors, both domestically and overseas. Launching December 4, AllFin.com will matchmake companies, projects and investment managers seeking funding with relevant investors. It will also serve as a platform for thought-leadership, professional service providers and research in investment. “In the last eight years, we have been working with high net worths and professional investors, to match them with opportunities, products and professional services in Australia,” Mr Gao says. AllFin.io: An english-based listing portal for opportunities, financial products and professionals. AllFin.com: A chinese-based platform, translating and promoting the best contents and fintech tools from AllFin.io for overseas investors. AllFin’s functionality will launch in stages. In December, the portal will launch with a property valuation tool, a portfolio management system, and features to list investment opportunities and promote research. 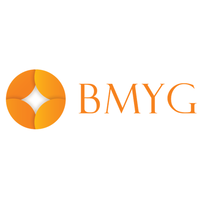 Since founding in 2009, BMYG has grown to oversee $200 million in funds, and employs 35 staff across its offices in Sydney and Melbourne. It’s existing Chinese investor focused website, www.aocai.com.au has over 20,000 registered investors. It’s earlier investments are split between Australian funds managers – such as Advent Partners, Square Peg, Valara – and technology startups – including OpenMarkets and Wholesale Investor.